Neither the astronaut nor the drones had ever been there before, yet neither the human nor the robots seemed lost. 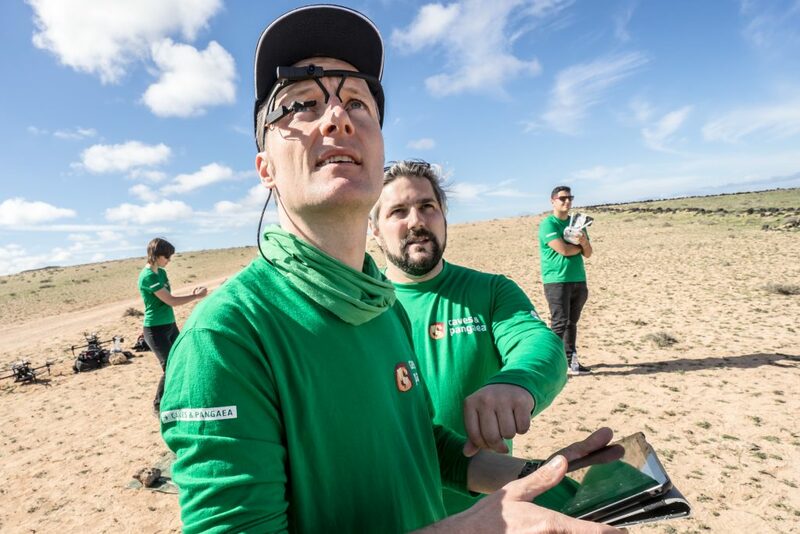 They were working together to explore a barren area in Lanzarote, Spain, where no networks are available. Thanks to artificial intelligence, the swarm of drones diligently scouted the unknown terrain under the watchful eye of the astronaut. The astronaut is ESA’s Matthias Maurer, and the drones were brought from the other side of the Atlantic by a team of young researchers from one of Canada’s leading engineering institutions, the Polytechnique Montreal. The experiment looked into human-robot interaction during Pangaea-X, a test campaign that brings together high-tech survey equipment and space exploration. On Mars, Matthias would multitask and take decisions on the spot, such as where to set up camp or where to look for the most promising places for finding signs of life. Drones could map the area for him, establish a scouting strategy, discuss targets and check on each other’s status. Matthias was not aware of this internal communication between the robots. He only set the mission goals using a tablet. “We are one of the first ones in the world to use this type of decentralised control in the field,” explains Giovanni Beltrame, principal investigator of the SwarmNet project. “Multi-robot systems are more efficient because of their ability to cooperate, but it is still hard to predict their collective behaviour,” he adds. The fleet of drones – up to six – was tested in two modes: one with Matthias controlling a robot at a time and another controlling the swarm as a whole. “It is the first time we tested the system with an astronaut in the field,” says Giovanni, who wanted to get away of the simulations in a laboratory and avoid the ‘video game effect’ that makes operators less engaged with reality. A challenge was the lack of communication networks in the area – an ideal scenario for space simulations. 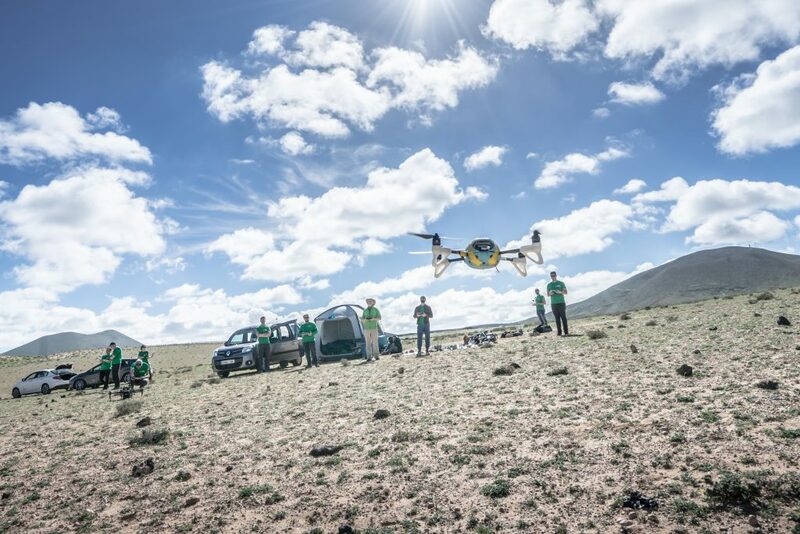 The drones establish their own network and are able to organise themselves to guarantee connectivity with each other and the astronaut. “These robots look for each other and form a chain to guarantee that the messages bounce back. If one of the drones fails, the others close the gap autonomously to reestablish communications,” explains Giovanni. The team is analysing data, but they believe that controlling the swarm as a whole is more efficient and less taxing for the astronaut. It is not all about drones. The researchers have tested the same software on tiny robots with legs and rovers and in different configurations. “We cannot fly drones on the Moon, but we can have rovers and jumpers deploy a set of smaller robots to map the area and identify interesting features using our software,” adds Giovanni. The idea resonates with applications on Earth too. SwarmNet could be used to monitor forest fires, inspect building sites and provide network connectivity in disaster areas.